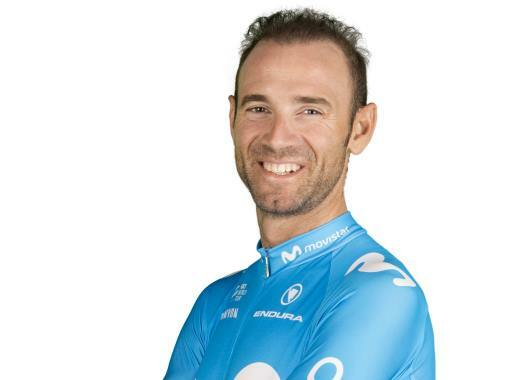 Movistar's Alejandro Valverde finished the 18th stage of the Vuelta a España safely with the peloton, while he was already thinking of the days to come. The 18th day of competition at the Spanish grand tour was uneventful. "Up until 150km into the stage, it’s been a quick, but really comfortable ride towards the finish into a tailwind," the Spaniard commented. "On the other hand, it also meant that all riders had all strength and energy left for the finale, so it was really demanding on the final 30km – even if the break stuck until the end. "I think my legs are doing well; actually, I didn’t expect to finish so fresh and strong in this Vuelta. I knew I was getting to the start in Málaga with good legs, hence the two stage victories on week one, but I didn’t think I could finish the race that strong." Two decisive stages are coming in the race and Valverde is ready to face them. "We’ve got two decisive stages coming up on Friday and Saturday – though I have the feeling that Saturday’s stage, being so short and explosive, can make it become anybody’s race, and it should be more key to the final result," the rider said. But the rider doesn't want to give away any clues of the team's strategies. "Those are a secret, our rivals can’t know (laughs). Let’s see how things go tomorrow: how we are doing, how our rivals are reacting, see where we can make them suffer into the final climb. The only thing which is crystal clear for us is that we won’t surrender, we’ll continue giving our best," Valverde added.